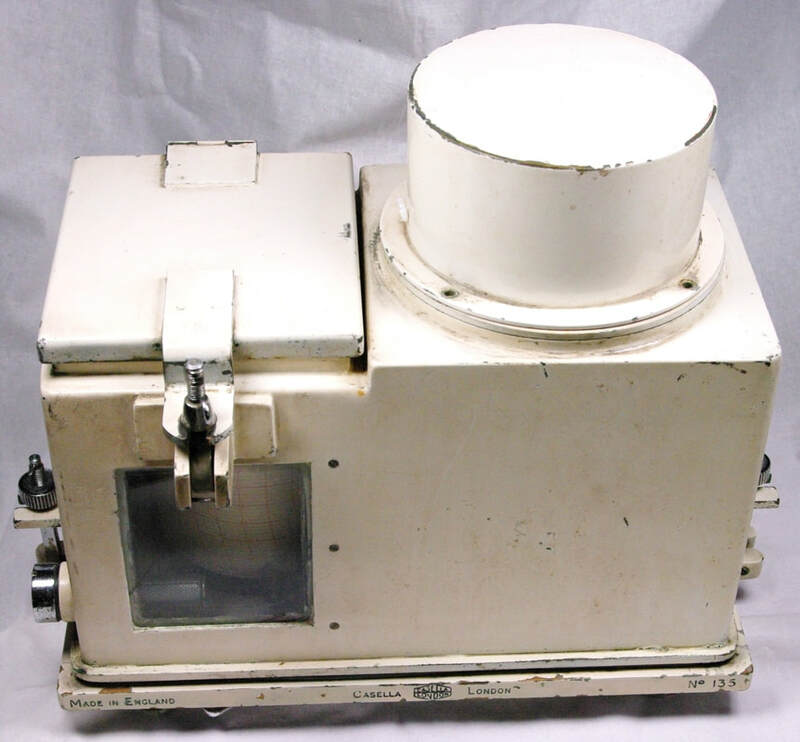 This is a Casella Model 6300 Actinograph, also known as a pyranograph. It's shown in the 1948 and 1958 Casella catalogs available on this website. It measures solar radiation with a combination of blackened exposed and shielded bimetallic elements, sensing a differential temperature that is proportional to the amount of radiation. The clock has a 24 hour movement. The inside of the case has a US Navy property sticker on it. It weighs a hefty 28 pounds.